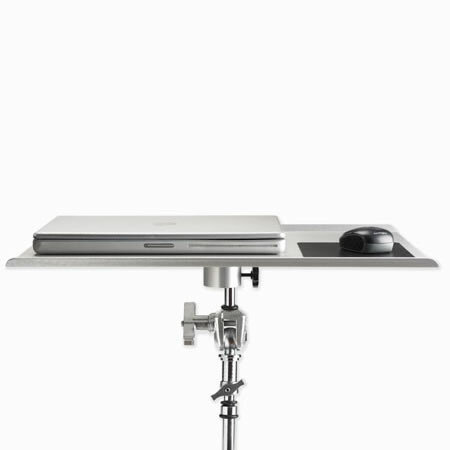 Made completely of T6 Aerospace aluminum, the stunning brushed silver or non-reflective black textured platform is sleek in design and unsurpassed in stability & durability. The Aero Series features the LAJO-4 ProBracket which offers integrated mounting on any 1/4_-20 tripod head, 3/8_ tripod mount, 5/8_ stud studio stand or Arca style mounting attachment. 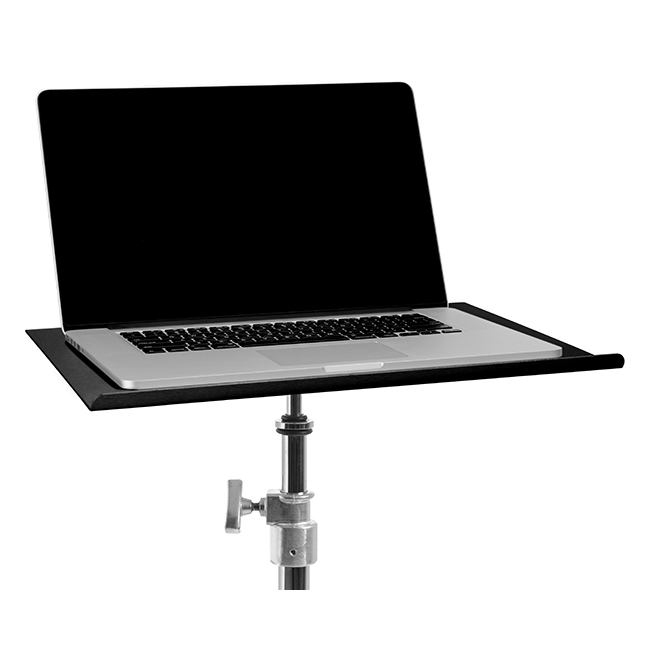 Mounts to any of these stands and supports in just a few seconds, no adapters needed. 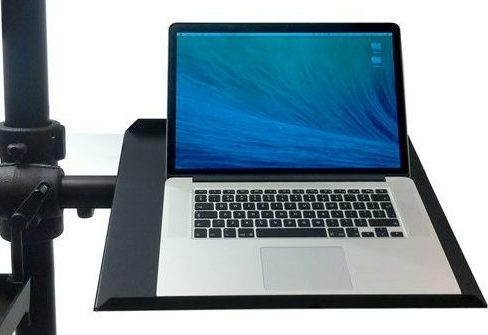 Includes a custom, high quality storage case to protect your table when not in use. 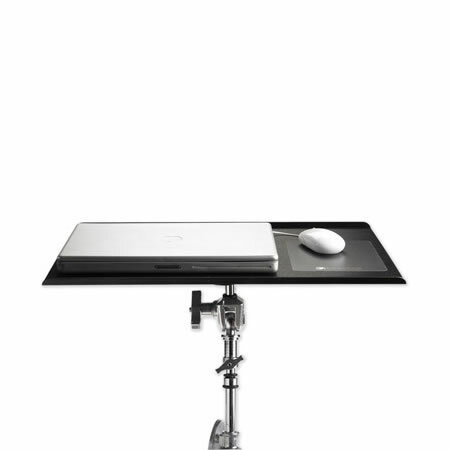 The Tether Table Aero Master is Tether Tools’ largest platform, measuring 22″x16″ (56cm x 40cm) and integrates with the complete line of Tether Table Accessories including the External Drive Compartments, Secure Strap, ProPad, Cupholder, Hooks and more. 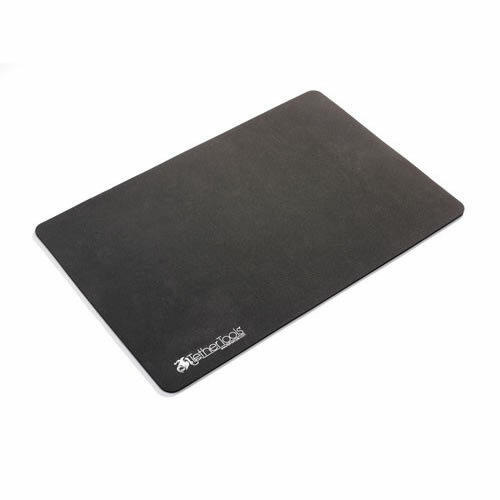 The Aero Master is also ideally suited for use of a stand-alone mouse along with the Peel & Place Mouse Pad. 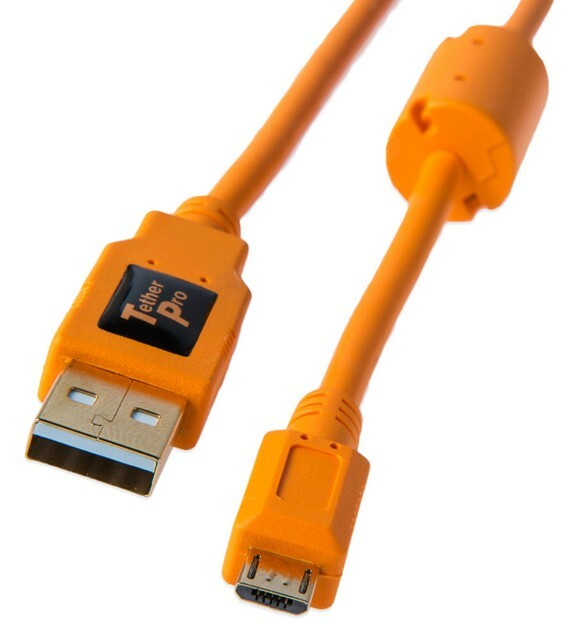 The TetherPro Premium version USB 2.0 A to Micro-B 5 pin 15' (4.6m) cable has a reinforced Ferrite core to filter out signal noise and reduce transmission errors and full-lined shielding to protect against external signal interference.